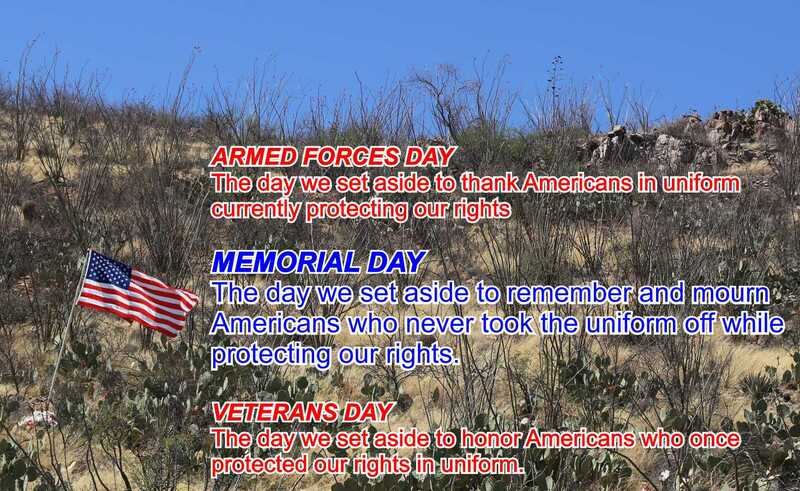 The Uniform Holidays Bill which gave us some 38 or 50 Monday shopaholidays moved Memorial Day from its traditional May 30 date to the last Monday in May. Today is May 30. Salute. Proudly. 2,499 U.S. men and women have died in Afghanistan since 2008. 593 U.S. men and women have died in Iraq. And more have died as the U.S. has introduced “small numbers” of special-operators in the fight against ISIS. Navy SEAL Charles Keating IV was killed in fighting near Irbil this month. They died for thee and for me. The Uniform Holidays Bill which gave us some 38 or 50 Monday shopaholidays moved Memorial Day from its traditional May 30 date to the last Monday in May. 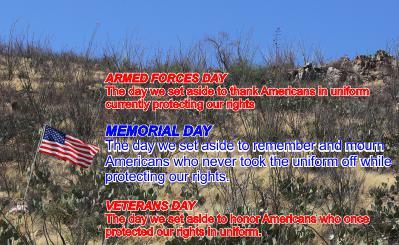 Today is not May 30 but perhaps we can shut up and salute anyway. 2,312 U.S. men and women have died in Afghanistan since 2001. More than 665,000 Battle Deaths have occurred since the U.S. was founded. 2,180 U.S. men and women have died in Afghanistan since 2001. More than 656,000 Battle Deaths have occured since the U.S. was founded. There is no end to the mutts who would kill our men and women in uniform even faster than they would kill their own. And there is no end to the mutts in our capitol who would let them. If I had but one wish granted on this day, I wish not another soldier dies. Ever. But die they did around the world again this year and die they will. For us. For me. Because those men and women died, I get to write these words again this year. And you get to read them. You get to rail about Islam or Presbyterianism or Frisbeeism without fear of the government. And I get to read it. Please pause and reflect as you go to a concert, stop at an artist’s studio, grill a burger, or simply read a book in the sunshine the price we pay to keep our right to do those things. Thank a soldier today. And then do it again tomorrow. Editor’s Note: This column is slightly updated from one that appeared first in 2008. The Post-Tribune reported on a murder and nobody cared. Other than the fringe bloggers, no one is outraged that three men choked and shot 24-year-old Jacqueline Gardner to death and stole the tip money she earned as a waitress. Ms. Gardner suffered and died right outside her Hidden Lake apartment. Her 8-month-old daughter, Alessandra, will never know her mother. 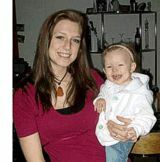 Her 4-year-old daughter, Bobbie, will remember her mother and wonder why no one cared. They killed her for $85. No one held vigils. There were no demonstrations. Social media was silent. Where was the NAACP after that 2012 murder in Schererville, Indiana? After all, they were outraged in Florida over Trayvon Martin’s death. Where was Bill Moyers? He, too, was in Florida to deplore the George Zimmerman verdict. Where was Alec Baldwin? OK. Alec Baldwin was making another commercial; no one cares what plane he was on. Where were the 47,800 outraged tweets per minute, tweets that surpassed the peak for the Sandy Hook massacre? Where was QTip who wrote “Can’t be surprised… Black life has no value in this country,” in a tweet that was shared more than 2,000 times? Where was Barack Obama who could have adopted this young woman from his own Chicago metropolitan area “who could have been [his daughter]”? I know where they were. They were nowhere to be found. They were nowhere to be found because Jacqueline Gardner was a woman. Women get killed sometimes. They were nowhere to be found because Jacqueline Gardner was white. Whites aren’t victims. Even Google is nearly silent about Ms. Gardner’s fate.